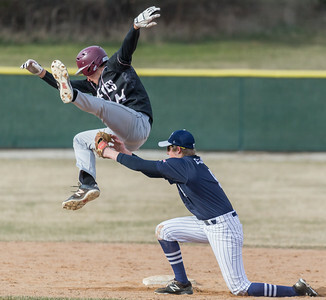 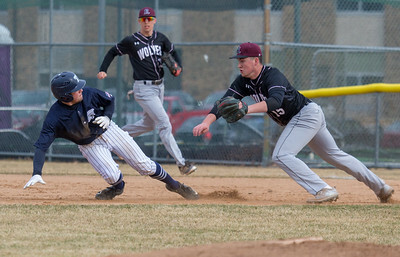 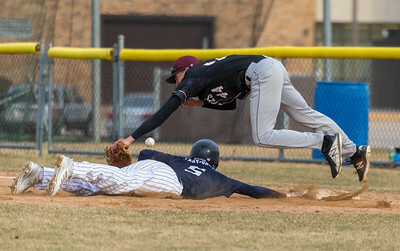 Prairie Ridge first baseman, Nick Sargeant, dives for the pick-off throw over Cary-Grove baserunner Shane Layshock Monday, April 2, 2018 in Cary. 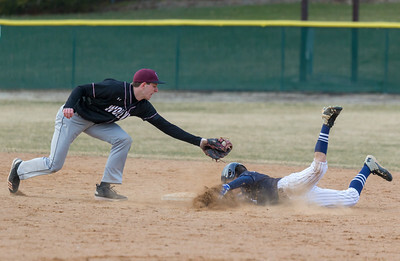 Sargeant advanced to third on the error. 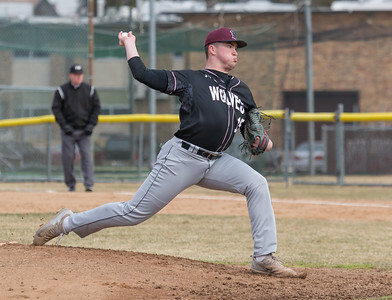 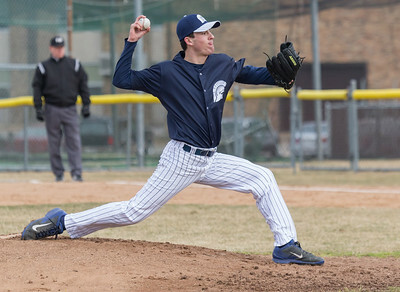 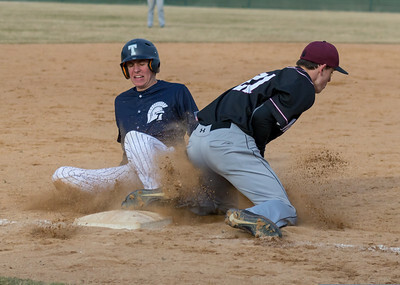 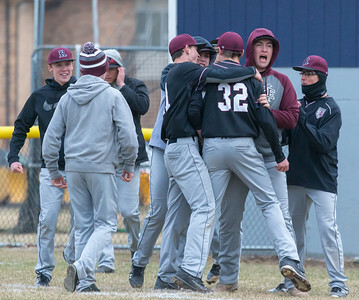 Prairie Ridge went on to win the game 6-5 in the extra-inning game.